After a rough couple of weeks being tied down to work and job applications, I finally have carved out time again for myself! Woohoo! It's been awhile since my last post, so I am very happy to be back writing about coffee and the culture surrounding it! At the start of this week, I sat myself down and basically had a pep talk with my inner voice. I've been very stressed out by work and job applications and have not been giving myself time to do what I am passionate about. I basically told myself that I need to set time for my work and for my "me-time" activities such as going to coffee shops and blogging about them. One of the stores I have been itching to go to is Bliss Coffee in Redwood City. 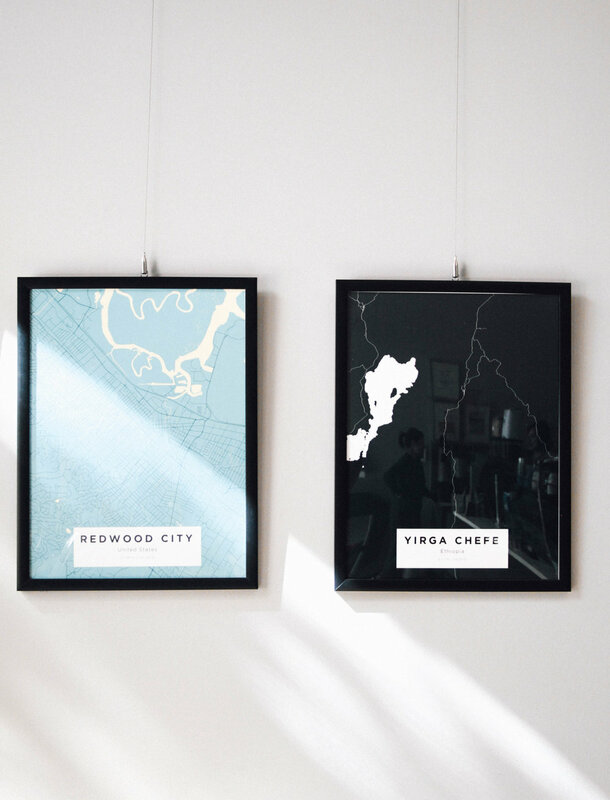 This quaint little town is nestled between the bougie city of Palo Alto and the bustling outskirts of South San Francisco. Getting to Redwood City is usually a piece of cake, but today it was more of a trek than a fun little excursion. It is currently stormy as all hell here in the Bay Area and driving up took a bit longer than expected. There is nothing a little techno music and inner persuasion cant fix, so with that I slowly inched my way up north. When I got to Redwood City, the sky cleared up and literally a ray of sunlight was hitting the shop I was about to go into. Seeing this definitely made me happy that I chose to come here even with all the obstacles that I had to overcome. Walking inside Bliss Coffee I was greeted by soothing jazz music, plenty of seating and warm smiles from the baristas behind the bar. I was a bit overwhelmed with all the yummy options that beckoned me from their menu such as their nutella latte and VB latte. The two sounded enticing, but I chose to go with my usual pour over coffee. What i like about Bliss is that you have options to your coffee. 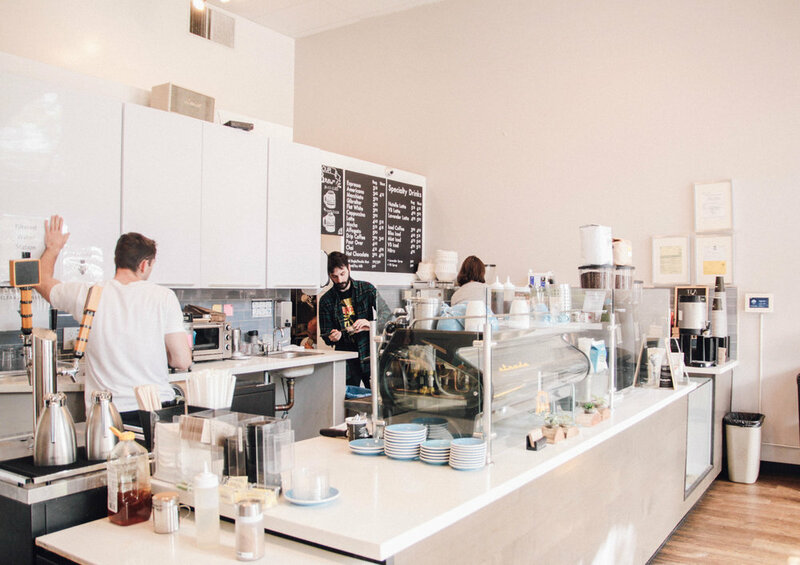 They serve up Street Level from Verve and Gamut from Chromatic for the espresso while also having a range of coffees from both vendors for pour overs & drop coffee. Big Giant Coffee Roasters is also served here and is the shops own roaster! I love when small coffee shops have a variety of coffee beans from all over and being able to see them proudly serve their own roasted beans was very inspiring. Drinking my Chromatic Aleta Wendo Sidama pour over, I sat and observed the store. Though it may be small, Bliss offers up a mighty punch with their extensive drink menu and friendly staff. I'm always hesitant to take photos in coffee shops solely because some people don't like their photos being taken. The sweet barista behind the bar however started talking with me about my camera and my blog, which gave me the okay to shoot away. Bliss Coffee is a true gem to the already pleasant Redwood City. Even though it may be a trek for me coming from San Jose, I would not mind taking the train up just to have a nice conversation with the baristas while enjoying a delicious, hand-crafted coffee.